In a move that will improve the company’s penetration in the core earthmoving segment and extend its presence in light mining, Volvo Construction Equipment has agreed to acquire the off-highway hauler business of the Terex Corporation for a purchase consideration of approx. USD 160 M (approx. SEK 1 billion) on a cash and debt free basis. Volvo Construction Equipment (Volvo CE) has announced that it has agreed with the Terex Corporation to acquire the hauler manufacturer Terex Equipment Ltd, including related assets and intellectual property. The deal, which is subject to regulatory approval, includes the main production facility in Motherwell, Scotland and two product ranges that offer both rigid and articulated haulers. It also includes the distribution of haulers in the U.S. as well as a 25.2% holding in Inner Mongolia North Hauler Joint Stock Co (NHL), which manufactures and sells rigid haulers under the Terex brand in China. NHL is listed on the Shanghai Stock Exchange. In 2012, the businesses in the acquisition (excluding NHL) had net sales of approximately USD 370 M (approx. SEK 2.5 billion) and an operating income of approximately USD 33 M (approx. SEK 220 M). In the first nine months of 2013 net sales amounted to approximately USD 172 M (approx. SEK 1.1 billion) and operating income was approximately USD 5.5 M (approx. SEK 35 M). The holding in NHL will likely be accounted for using the equity method in accordance with IAS 28 (one-line consolidation). The purchase consideration amounts to approx. USD 160 M (approx. SEK 1 billion) on a cash and debt free basis. The acquisition will increase the Volvo Group Industrial Operation’s net financial debt by SEK 1billion. The acquisition includes five models of rigid haulers, with proven designs and payloads ranging from 32 to 91 tons. 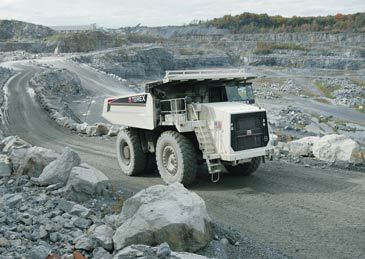 The introduction of rigid haulers will extend Volvo CE’s position in light mining; an industry area that is complementary to general construction, oil & gas, aggregates & quarrying and road building – segments that Volvo CE is already active in. The deal also sees a further three models of articulated hauler added to the Volvo portfolio, with payloads ranging from 25 to 38 tons. These machines support Volvo CE’s already established position in the articulated hauler segment, offer an extensive field population and opportunities for considerable growth in emerging economies. If approved, the acquisition adds some 500 employees to Volvo CE’s existing workforce. It also allows for the continued use of the Terex brand name on the relevant machines for a transitional period.